As the COP22 Climate Conference gets into full flow in Marrakesh, Commissioner Karmenu Vella warns that global rules for the oceans have to be dragged into the 21st century. Karmenu Vella is European Commissioner for Environment, Maritime Affairs and Fisheries, previously serving as Malta’s minister for tourism. Oceans are our lifeblood. Our living standards, our economy, even our health, depends on them. They absorb 25% of the world’s CO2 and produce 70% of the oxygen we breathe. 90% of the world’s trade is seaborne. Energy from the oceans keeps our lights on and our homes warm. Yet all is not well. Pressures from climate change and marine pollution are putting our oceans under severe stress. Fish stocks are being depleted because of illegal fishing. International waters risk becoming safe havens for criminal activity, whether it’s piracy, human trafficking or smuggling. Over 10 million tonnes of litter enter the ocean every year – and every single plastic bottle takes centuries to decompose. At the start of this Commission, President Juncker gave me a mandate to help improve Ocean Governance. We recognised that the only way to better protect, govern and use the oceans is through international cooperation. Joint action is needed worldwide and Europe’s responsibility in leading this effort is even more pertinent today. We need to bring our global rules for the ocean into the 21st century. The last 12 months, which saw the Paris Agreement on climate action, and the UN sustainable development goals (SDGs) prove that the political will is there. With the EU’s foreign policy chief Federica Mogherini, we want to make sure that these commitments become reality. This week we launched an initiative to improve the management of the world’s oceans. First, improving the institutional framework for managing our oceans. Two-thirds of the oceans lie beyond the reach of national law. While the international rules framework itself goes a long way, the sheer vastness of the oceans means enforcement can be weak and patchy. We want to strengthen the rule of law at sea, and we want fair rules that work for all. This means convincing more of our partners to sign up to existing treaties and instruments, and closing legal gaps – making sure everybody sticks to the agreed rules. Second, reducing the effects of human pressure on the oceans and creating conditions for a sustainable blue economy. We want to use our oceans for economic gain, but without destroying them in the process. 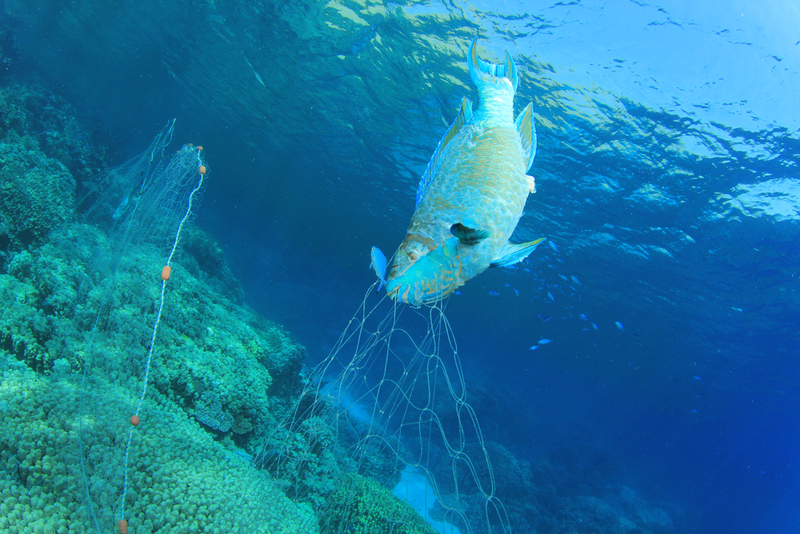 Today, 15% of fish are caught illegally – a global industry worth billions. The European Union already monitors vessels and only allows traceable fisheries products to enter the European market. But there is more we can do. For example, we want to use big data monitoring technologies, or strengthen the role Interpol in detecting illegal fishing. At COP22 in Marrakesh, I will speak at the Ocean Action Day. I will highlight the role the ocean plays in the regulation of our climate. We have made enormous progress on Climate Action – ratifying the Paris Agreement in 12 months is a stunning success. But we can still do more to highlight the role of our oceans. And we will fight pollution and the “sea of plastic”: by updating the rules on waste disposal for vessels, by adopting a new strategy on plastics in 2017, and by seeking global partnerships to deliver effective strategies against both plastic litter and micro-plastics. Third, we will invest more in ocean science. If we want to take effective and sustainable action, we need to improve what we know about the oceans. We would not let an airplane fly through uncharted mountain ranges. Yet, underwater we let the world’s submarines do something similar. 85% of the seafloor has not been mapped using modern techniques. We need to pool resources to improve this. Our aim is to create a worldwide marine data network open to all, using as a basis the solid EU networks already in place. This week’s proposals are not just an action plan for the European Union – they are an open invitation to our partners around the world. The EU will be hosting the 2017 edition of the international Our Ocean conference in Malta in October next year. This will be an excellent opportunity for the global ocean community to come together, take stock of where we stand and to commit to safe, clean, secure and sustainably managed oceans.